Welcome daytradersetups Customer to DTN IQFeed! - Fast, Reliable, Affordable. Market Data and API's. On this page, you will find a broad listing of 3rd party applications, brokers and trading schools that all recognize the need for quality data in order to gain a trading edge. The 3rd party applications understand that working with an easy yet powerful data feed API is critical to making a strong product available to their customers. The brokers listed here want their customers to get the best overall value while accepting only the fastest and most reliable data. Trading Schools choose DTN IQFeed because they can't afford for their students or teachers to be stuck without data during class or live trading and they want only the best data feeding their proprietary indicators. These partners chose the best data feed in the industry and we recommend you choose one of these partners because they truly appreciate the profit potential a professional system can achieve. Discount Trading is a futures broker offering ultra-low commissions to clients worldwide. We offer over 20 trading platforms and hundreds of trading systems. We offer 5 trade route solutions including Certigo, CQG, Rithmic, TT, and CTS. $500 day trade margins on many of the most popular markets. We also offer a completely free trading platform with no monthly or inactivity fees. Updated research is also provided to our clients every day. Whether you are a day trader scalping the market or a farmer looking to hedge your crop, Discount Trading is here to assist you. Contact Eric at Discount Trading @ 219-769-0366. Trade Futures 4 Less is a futures brokerage firm providing active futures traders advanced trading platforms to trade the CME, ICE, and Eurex electronic markets. We do not discriminate traders by their trading activities or account size, and believe that every trader should receive the high quality service and benefits worldwide. Infinity AT is ideal for you, if you are an active trader who focuses on day trading the electronic futures markets. The platform is designed and supported, with you in mind, the active trader who demands speed and functionality. Infinity AT was originally developed for Proprietary Traders using the Yes Trader technology. This ideology continues today. Take the Infinity challenge-- Run Infinity AT side by side with any platform or data vendor and you will see the transparent pricing for yourself. You are in charge of your trading and set the level of functionality that maximizes your trading techniques. Whether you are a scalper and use single click order management or employ multiple target brackets with trailing stops strategies, Infinity AT is user friendly and fully customizable. Infinity AT is hosted and supported at the clearing level with no third party software vendor getting in the way. Most importantly, everyone involved has a vested interest in the trading platform's reliability. There may be a third party fee associated with Infinity charts. May Qualify For CME Group Globex Exchange Waivers through DTN IQFeed! Use neural nets, price forecasting, and an amazing array of proprietary indicators in your own trading. Once accessible only to select CTAs and floor traders, these tools are now available to private traders for their own use. Check out our testimonials page and see why professional traders use Wave59 as their charting platform of choice. Try this program free for 30 days, and we guarantee you'll never want to go back to your old trading software! HyperTrader redefines state-of-the-art with innovative architecture, based on Java, combine the internet technology and traditional technical analysis software flexibility, allow to use Market analysis and order entry are integrated. Click on a Level II quote to enter the symbol and price for an order. Link order entry enabled windows to charts and quote screens for instant symbol changes. You get access to listed markets and send electronic orders to any Trading Platform. HyperTrader can help you create a strategy and back-test it using historical data, so you'll know how it would have performed over the tested period before you implement it; can automate your strategy to alert you when it's time to buy and sell based on the criteria you've specified. AmiBroker is an award-winning, real-time analysis platform for stocks, mutual funds, and futures. Designed for individual investors having limited experience as well as professional investors, AmiBroker delivers advanced charting, high-speed portfolio-level backtesting, optimization, user-defined alerts, and programmable indicators in a single, powerful, yet affordable platform. Version 4.50 has been expanded to offer unique features and meet the needs of today's more demanding investors and traders. Some of the most important additions are: sophisticated portfolio-level backtesting and optimization, extensive set of multiple time-frame functions, enhanced reporting system, and a unique composite function allowing creation of multiple-security indicators in seconds. An AmiBroker 4.50 permanent license can be purchased for the Standard Edition (USD $129) or the Professional Edition (USD $199), and includes free upgrades for one year. Medved QuoteTracker is a high end trading package without the high end price. Extensive features are at your fingertips, such as Level I, Level II quotes and Time & Sales, unlimited intraday charts with over 50 available indicators and full chart customization, trend lines and Fibonacci studies, advanced alerting, streaming news and complete direct access trading with over a dozen brokers. You can trade through your own broker using QuoteTracker direct access interface. Order Entry and transaction monitoring is drastically faster. No matter what trading style you use or markets you trade, QuoteTracker can be customized to meet your needs. Cannot beat the price - it's FREE! The Trading Edge Strategy Software RT is designed to take advantage of the Forex market on an intra day basis. With it’s Potential Trade Point (PTP) indicator you can trade the Forex markets with a very high degree of accuracy. The Updata Analytics platform has been widely regarded for many years running on top of leading market terminals including Bloomberg, Factset and Thomson Reuters. The software is four times winner of Best Technical Analysis Platform awarded by Technical Analyst Magazine. Updata plugs into over 50 different market terminals, trading platforms, datafeeds and databases with more services being added all the time. With this wide range of compatibility, users can conduct more advanced technical analysis, utilise powerful scanning and alerting and write and run trading strategies. Updata comes with over 1,000 pre-written custom indicators and trading strategies. WinTrend is providing high quality Real-time and Historical Charting and Technical Analysis for the financial markets. Supports all types of markets: stocks, futures, indexes, spreds, currencies and options. WinTrend has a very large set of indicators, studies and drawing tools. You can create your own custom indicators and systems using the built-in scripting language or create custom studies using free Microsoft .net competitive compiles. Or use ones developed by other WinTrend users and developers. It is extremely fast with unbeatable speed in all areas. Whether you are a short-term trader requiring real-time intraday charts and advanced trade functionality or you are a long-term investor requiring only simple charts with basic trade functionality, WinTrend will do what you need and is affordable! WinTrend is being continuously improved and expanded. Come and join us and be a part of our growing community. MarketDelta(TM) is a revolutionary new trading tool that allows traders and brokers to witness how volume interacts with price and displays the information in a way that provides a memory, sense and feel to the electronic screen. MarketDelta(TM) graphically presents price action in real time to give you the edge. AmpleSight is a pioneer software that tends to become universal tool for performing inter-market analysis in various time frames and representing overwhelming market visualization on your computer screen. The software boasts an otherwise unavailable set of visualization capabilities for the comparison of different lucrative opportunities, as well as an elegantly designed and attractive look and feel. TradeSharp is a broker neutral Algorithmic Trading Platform with the ability to quickly automate rule based trading. TradeSharp has been built using the .NET platform and Traders can code their strategies using C#, which can then be optimized and executed in real time for different asset classes. Established in 2005, our background stems from expertise in the field of software development and financial engineering. Our product flagship is the Cheetah Trading Platform: a turnkey solution for companies wanting to establish their brokerage services as easily and swiftly across a multitude of markets worldwide through straight through processing execution and market making. Developed by Robert Krausz, who was featured in the Jack Schwager’s book New Market Wizards, Fibonacci Trader is a true multiple time frame analysis software package for professional traders. All charts have the capacity to plot indicators on three different time frames, which enables traders see what weekly and daily indicators are displaying compared to their intraday indicators on the same chart, all real-time. Fibonacci Trader works on all markets, stocks or futures, foreign and domestic. There are over 100 indicators and tools, many not available elsewhere. Sierra Chart is a global leader providing a professional Trading, Real-time and Historical Charting, and Technical Analysis platform for the financial markets. You have the ability to trade directly from the charts, the Trade window, and also use our exclusive ChartDOM (TM) which provides advanced and customizable order entry on the charts in a traditional price ladder format. Sierra Chart has advanced chart-based order entry which allows you to enter and modify orders with precision directly on the charts. Sierra Chart has numerous chart types from simple to advanced, technical studies and indicators, and drawing tools. You can create your own custom studies, indicators and systems using the Sierra Chart Advanced Custom Study Interface and Language or the built-in Excel compatible Worksheets. Sierra Chart is widely known for its solid, open, and highly customizable design. AbleSys Corporation (ASC) is a worldwide leader in universal financial trading software and web application. As the creator of the benchmark ASCTrend indicator, AbleSys has long been synonymous with cutting edge financial trading technology. AbleSys strives to develop innovative products and services that meet users' evolving need in the Internet age. Founded in 1994, AbleSys is a Commodity Trading Advisor (CTA) registered with the CFTC, specializing in trading software and internet applications. Products include AbleTrend, ASCTrend, and WinTick. Since 1997 each year, AbleTrend was honored with the Readers' Choice Awards of Stocks & Commodities magazine in Stock Trading Systems, Future Trading Systems, and Options Trading Systems. MultiCharts is professional technical analysis and trading software, featuring professional charting, advanced analytics, strategy optimization and backtesting. With MultiCharts, traders gain access to chart analysis, trading strategies, backtesting and order execution options needed to stay on the winning side. MultiCharts is EasyLanguage®-Friendly, meaning traders can use MultiCharts trading software immediately without needing to learn another programming language. Quickly and easily access a wealth of research and analyses with MultiCharts. Seer Trading Platform allows users to build, backtest, optimize, debug and auto-trade their own trading system. The trading system can be built using a wide range of inbuilt technical analysis indicators or you can construct your own. Seer contains one of the worlds fastest backtesting engines and is able to perform true portfolio backtesting, use multiple time frames, use multiple systems while applying advanced risk and position management. Once a user is happy with their system Seer is able to deploy the system against a real-time feed and brokerage account for full stand alone automatic trading. Founded in 2003, NinjaTrader, LLC has quickly emerged as a leading developer of high-performance trading software. The company’s flagship trading platform, NinjaTrader, is a FREE application for advanced charting, market analytics, system development and trade simulation. IQFeed provides both real-time and historical data for NinjaTrader allowing traders to use all aspects of the application for FREE! In addition when you are ready to trade live, discretionary, end-of-day and automated systems traders can trade futures, forex and equities through hundreds of supporting brokerages worldwide by purchasing a low cost NinjaTrader license. NinjaTrader, LLC sets the benchmark for trading software and continues to invest in new product development. Based in Denver, CO, NinjaTrader, LLC serves the global trading community with locations in Grand Rapids, MI, Amsterdam, The Netherlands and Bamberg, Germany. XLQ is a stand alone C++ application, which delivers live, intraday and historic worldwide stock market data for use in xlq, xlqCompanion, MS Excel or via other programs or programming languages through a COM interface. More than 250 formulae available. XLQ allows you to maintain a portfolio or perform personalized in-depth stock analysis the way you want, in the format you want and with the tools you want. QuoteIN uses the latest advances in real time data technology from Microsoft to turn Microsoft Excel into a powerful trading tool with performance levels comparable to the best stand alone quote applications while keeping Excel's flexibility. Depending on your particular needs you may use it simply through wizards that create preformatted sheets or by fine tuning market data together with your calculations at the formula level. Support for Level 2/Market Depth , intra-day, options chains, options pricing are all included. ATRADER offers a high performance C++ user focussed trading and charting solution. ATRADER DTN is our flagship product. Our product offers a number of powerful features including ChartTrading (ChartTrader), StrategyTrader (entry/exit scaling) ,ProfileTrader (Volume profiles), Custom Indicator Programming in C++, GannTrader(Gann Price Time Projections), MurrayMathTrader (Murray pivots) and real time streaming news. The Leader in Charting and Technical Analysis since 1985, Aspen Graphics is the only technical analysis software you’ll ever need. Whether you trade equities, Futures, Index, options, bonds, fixed-income or mutual funds, Aspen Graphics delivers the critical market analysis tools required by market professionals with the speed, clarity and ease of use your trading demands. Kairos, greek for opportune and decisive moment, is Stormchaser Technologies' trading application for Active Traders, Hedge Funds and Broker-Dealers. Kairos™ consists of 5 modules that allow you to search for the opportune and decisive moment to trade. Kairos, the nexus of ancient knowledge and modern technology, lets you research the cause of cycles in the markets. Fractal Pattern Recognition – Configurable on multiple timeframes and markets, this module finds repeating time-price patterns from days to months prior. Gann Analysis/Swing Trading Modules - Transits to Transits or Transits to Natal/Progressions/Directionis, display time projections easily on the price chart. Includes ecliptic intercepts, Declination/Latitude Parallels, Inflections or min/max. Filter by Declination or Latitude Strength to find the strongest aspects. Phases of the moon, eclipses, Generate Ephemeris. Time Projection Analysis - finds the best planet/degree movement for a market. Analyzes natals, planets, planetary pairs, declination, latitude, eclipses and more. Display the results easily on the price chart. Helio and Geo Pirce Lines/Harmonics. Gann Angles - 6 types of configurable Gann Angles. A Geometric Squareouts feature is included in this module. Over 100 technical analysis tools, Multiple Intraday Timeframes. 1 week free trial. TickNTick Suite is the First Cloud certified Enterprise Technical Analysis N Trading Platform Offered on SAAS as well as SAS Model with over 250 indicators,hundreds of Trading systems supported on Desktop,Web N Mobile. TickNTick Desktop Trading Platform features Automatic Pattern Recognition,Market Scanner/Screener,Stock Research,Instant News,Configurable Audio/Visual Alerts,Builtin Browser and automated trading with many prebuilt trading rules or ability to write your own trading rules using TA language 'TNT Script' for flexible trading algorithms with language of your choice c/c# and even vb. A object-oriented user interface with Multiple themes and completely customizable layout makes for a delightful experience. Multiple feed Support liberates you from limitations of data feed providers and gives you the edge you need to trade in multiple exchanges. With All Information at your fingertips you need not look any further.Intuitive N Easy-to-use TickNTick is the ultimate experience in Financial Domain for pros as well as newbees to trade TickNTick Way. VeloxPro is a boutique financial engineering and services firm and the creator of BookMap xRay for DTN IQ Feed. The perfect companion to the high quality data provided from DTN, BookMap xRay delivers the only configurable heat map display that visualizes both real-time order flow and live trade analysis information combined with historical depth-of-market (DOM) data. Our unique java-based Complex Event Processing (CEP) engine handles millions of market data updates in real time, showing you exactly how the limit order book evolves over time. This unique perspective enables traders to get faster and deeper insight into live market dynamics and short-term price action. PriceSquawk Audible Market Technology adds another dimension to the market as you know it, immersing traders in a real-time audible market environment. You can hear buyers lifting offers, sellers hitting the bids, how aggressive they are, and the resulting price action. Listening to the market improves trading performance, enhances your pattern recognition skills and accelerates the learning curve for market intuition through constant audible market exposure. By just listening, traders can constantly monitor the order flow, price action and pace of the market. PriceSquawk can be configured as an audible market tape, bid /ask strength meter and order flow alert tool across multiple markets, freeing up monitor space and providing flexibility to move around the trade desk. OmniTrader was first released in 1994. The software is designed for one purpose - To help you find and trade prime candidates in the least possible time. OmniTrader achieves this goal by automating the analysis process using a technique called the Adaptive Reasoning Model. OmniTrader's easy-to-understand charts contain automatic information such as trend lines and key patterns to help you further refine your trading candidate list. With the built-in portfolio and trading simulator, OmniTrader is a complete, affordable platform for individual investors who want to engage the markets. Released in 2002 VisualTrader was designed to offer users a revolutionary way to see more profitable trades in the market. It combines fast analysis with 3D technology to provide a unique visual display of the market. VisualTrader makes finding great trades quick and easy and gives users market direction, group consensus, and great trading candidates in less time than imagined possible. Pairtrade Finder is proprietary stock trading system software used by hedge funds, fund managers and professional traders with buy and sell signals specializing in the highly profitable style of pairs trading. With free data to analyze over 100,000 stocks from stock exchanges all around the world including NYSE, NASDAQ, AMEX, LSE, TSE and ASX you will never be short of unique trading opportunities. Software features include back testing, charting, fundamentals, audio alerts and many more to significantly enhance your trading. AlphaLogic delivers an information advantage through unique analytics. Our alphaPlatform enables you to use these analytics as well as view high quality charts and quotes (including the unique horizontal volume histogram). We offer traders free use of our charting and quotes module, which includes real-time and historical data from your IQFeed, storable workspaces, trendlines and more. AlphaLogic charges only for analytic packages you choose, many of which are available for free trial use. We also support development of your own analytics through our programming API or our Eclipse plug-in, which enables traders to create analytics with minimal Java knowledge. AlphaLogic is a registered Commodity Trading Advisor and has developed its analytics in its own trading and in partnership with institutional clients. The Ensign Windows charting software is very popular with DTN IQfeed users. Ensign Windows includes the following features: Real-time charting, news, trading accounts, portfolio management, trader chat rooms, options analysis, custom quote pages, dozens of technical studies and line tools, alerts, time & sales, ticker tape, custom programming language, back-testing, user-defined symbols, on-line training videos, and much more. Plus, Ensign Software has the best Software Support in the industry. The monthly software subscription is only $49.95. Visit the Ensign Software web site to download the software and start your FREE trial today. The Sentient Trader – Hurst Trading System is technical analysis software that predicts Hurst Market Cycles that are present in all instruments, i.e. Forex, Stocks, Commodities and Futures. The software generates Trading Signals in real-time, based on all of JM Hurst’s Cyclic Principles. It is the first ever system, which enables traders to maximize their trading profits, using Hurst’s most advanced analysis techniques. Sentient Trader is available as both an EOD and Intraday version. 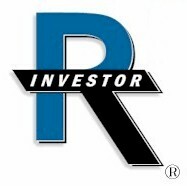 Investor/RT is a powerful trading platform featuring advanced charting and market analytics. Investor/RT has been enhanced and refined over many years to meet the ongoing needs of traders and active investors. Investor/RT's CME-licensed Market Profile functionality is unmatched. The wealth of powerful volume-driven tools and indicators makes it the ideal solution for real-time volume analysis. Advanced capabilities include trading system development tools, backtesting, real-time scanning and trading signal alerts. Investor/RT integrates seamlessly with the DTN IQFeed data service on Windows and Macintosh platforms. Investor/RT versions for after-market analysis using DTN historical data services are also available. MotiveWave is a professional suite of tools that makes trading and market analysis simple. Advanced yet easy to use charts support a wide variety of analysis techniques that include the following: Elliott Wave Theory, Fibonacci, Gann Analysis, Advanced Commentary, Linear Regressions, General Analysis (Channels, Trend Lines, Ranges), Over 80 different analysis components, Over 50 built-in Studies and Overlays, Native support for Multiple Monitors and Compact charts designed to maximize screen real-estate. Trading and order management tools enable the following: Trade directly from the chart, Manage all trades in one location, View trade history directly on the chart, Visually manage parent and child orders, News. AgenaTrader is an extremely powerful, multi broker trading software which goes a step further than comparable trading tools. Besides discretionary and full automated trading, semi-automated trading is also integrated. MM95 has been developed over 12 years. MM95 works with DTN's Internet or satellite feed. MM95 features interactive News, Quote, Chart, Index and Portfolio windows all within a single application. MM95 offers three types of chart windows: Day, Interval and Tic. Instantly display any number chart windows and their indicators, updating in real-time. Chart windows feature analysis techniques such as Moving Averages Stochastic, RSI, MACD, Volatility and more. Unique to MM95 are its Index windows and special charting indicators such as Cycle Peaks analysis and Time Line. MM95 leases for as low as $25 per month (1 yr. subscription). MM95 offers a 30-day free trial. ArbMaker provides an end-to-end ‘pure’ statistical arbitrage method in a package until now unseen outside the customised software space. ArbMaker uses Engle-Granger methodology; handles autocorrelation & lags; optimizes variable order; and outputs extensive stats including the mean reversion coefficient, half-life, R² and t-values. Analyze pair tradability, implement proprietary normality filters and carry out full residual testing with a wide selection of graphical analyses (Z-charts, residual plots, Q-Q normality, PACF). Back test mixed currency pairs, and set test criteria based on residual direction & position and multi-graph parameters. ArbMaker supports cross-geographic, sector and industry comparisons. Our investment analysis software ELWAVE is a pattern recognition analysis tool based on the Elliott Wave principle. Generally recognized as the most powerful trading method in existence, yet very complex. Now this is within your reach. ELWAVE will do the analysis for you. Fast, reliable, objective and very consistently! And even better, fully automatic. Apart from its unique Elliott Wave tools, ELWAVE also offers many other tools, Fibonacci, simulation and charting features, which can be used in conjunction with the Elliott Wave analysis to increase its power even more. ELWAVE includes a true Elliott Wave engine with application of every Elliott rule and correct determination and ranking of price swings in the wave degrees where they truly belong up to 9 timeframes deep. Access IQFeed's real-time and historical quotes in your ASC Trend, Metastock Professional or Tradestation 7.x/2000i using either our MetaServer RT or OnDemand Server products. Eliminate data collection problems in TradeStation, MetaStock, ASC Trend. NeoTicker(R) provides real-time analytics with power and flexibility that gives you an edge in trading over your competitions. Leading technologies include realistic environment simulation, trade simulator, quotes with auto-ranking / filtering by formulas and indicators, multiple time frame charts (tick, second, minute, hour, daily, etc. ), indicator on indicator, scans pairs and formulas, chart in chart, high power indicators. Advanced customization architecture allowing plug-in indicators and trading systems using object-driven model. NeoTicker works with both DTN IQFeed and Satellite services. Option Workshop is a front end application for options analysis, options modelling and trading. The program allows traders to model, evaluate and test different trading strategies using charting and analytical tools, create customizable 'what-if' scenarios, and monitor the current state of the market. Also, Option Workshop has robust functionality for working with orders. 'What if' scenarios - Change implied volatility, days to expiry or the underlying asset price of an option to model it in thousands of potential scenarios. Market Maker - maintain bids and offers on any instrument. It's logic is highly customizable. You can quote a bid and/or offer, setup spreads, set sensitivity to either price or volatility change. Delta Hedger - designed to keep the delta of a position of options within a desired range. The user may segregate some options positions in a separate subportfolio and hedge them independently. The development of successful trading strategies generally requires data for analysis and backtesting. QCollector will download data from IQFeed and save it to files on your computer in ASCII text format or MetaStock data format. This data can then be loaded in programs like Microsoft Excel for further analysis. Save daily, intraday, or time and sales data and build up your own database. Schedule downloads automatically or update your data files in real-time with QCollector timed updates. MTPredictor™ is specialist risk-control trading software for both individual and institutional traders. The software is unique in using its Isolation Approach™ to massively simplify Elliott Wave and enable traders to follow its well-known 4 Stage Process – finding a trade, assessing the risk/reward outlook, determining the money management and controlling the open trade. Traders can scan for low money risk trade set-ups and opportunities on both end-of-day (daily bar) charts and real-time (intraday bar) charts – in equities, futures, and forex. They also benefit from recent enhancements including the powerful manual Elliott Waves module, the popular Decision Point™ module and the Volume Spike alert indicator – all designed to uncover low risk opportunities or highlight high risk areas on charts. MTPredictor supports customers comprehensively with weekly training Webinars, a two-part full-colour Trading Course, a Discussion Forum and a daily Blog. MTPredictor v6.5 offers IQFeed users MTPredictor’s pure real-time, standalone trading analysis software for risk-controlled, professional trading. MTPredictor Ltd. is based in the U.K. and has a Support base in the U.S., as well as a global network of resellers and affiliates. Wealth-Lab 6 is a unique and comprehensive backtesting and real-time trading application indispensable for do-it-yourself technical traders. Wealth-Lab has all the tools necessary to create and analyze simple to vastly complex trading systems in a truly unlimited programming language, C#. At their disposal, non-programmers have the Strategy Wizard, which features a simple drag-and-drop interface and boasts an ever-expanding rule set. OrderFlowDashPro's AlphaReveal IQFeed Edition is the most advanced tape reading and order flow analysis decision support software! AlphaReveal surfaces key order flow and order book information and displays it in easy to read forms. AlphaReveal makes tape reading instantly accessible to chart based traders and was purpose built to help traders achieve an optimal state of flow with the market. AlphaReveal's visual depth of market display is a radical improvement over traditional DOM's found in other trading programs-- combining advanced level 2 analysis, historical order flow, and real-time order flow information in one display. AlphaReveal's powerful QuantTape(TM), advanced time and sales display, processes the order flow using advanced algorithms. The QuantTape(TM) has aggregation, reconstruction, block, and ladder displays. The QuantTape's reconstruction algorithms can be configured to use both price and millisecond accurate trade timing to reconstruct original order size, making it possible to look for large orders hitting the market while the levels ladder display makes it easy to see if the order flow is able to drive price or is being absorbed by limit order traders. Additionally, OrderFlowDashPro offers truly valuable trading support for both new traders and professional traders with our Quantitative Advantage program. NeedForTrade Studio is unique financial trading platform for technical analysis. Features powerful charting, creation of indicators and strategies on C# or Visual Basic languages. Platform has unique architecture, that lets it be the same time very simple but powerful. Writing custom analysis technique is as simple as in TradeStation. No other trading platform on the market has both of these advantages. Multitude of built-in analysis techniques. Best-in-class charts, on-chart drawing tools, historical back-testing, portfolio analysis and much more. FREE and commercial versions are available. Chosen as the best artificial intelligence software for 7 years in a row by readers of "Technical Analysis of Stocks and Commodities" magazine. The reasons are clear. Active traders and professionals use NeuroShell Trader to manage trading risk by testing ideas first - quickly and without programming. Backtest your own ideas by drawing on traditional analysis techniques, more than 800 technical indicators, and state-of-the-art artificial intelligence technology (fast neural network software for predictions and efficient genetic algorithm software for optimizing rule selection, parameters of rules, indicator selection, parameters of indicators, time series selections, and stop and limit prices all at the same time.) Navigate volatile markets like a pro with NeuroShell Trader's ability to combine several trading systems into models that alter trading methods when markets change. Save time by creating a single chart that contains a portfolio of stocks (or other issues). Designed for professional algorithmic trading and execution performance, our buy-side multi-assets trading environment AlphaTrader® allows your strategies to make use of the widest range of possibilities available on the electronic and low latency modern markets. Multi-Broker, Multi-Account and Multi-Asset platform. Lower your transaction costs thanks to innovative execution algorithms. Industrial automated and algorithmic trading functionalities, including Visual Studio C# for development. Semi-Automated trading built-in the platform. Trade Centric and Position Centric trading mode. Fully configurable and tailor-made addons (can be developped through our AlphaAPI). One-click trading and algo-trading (cf tactics) on scalpers, charts and DOM. Ideal for manual traders. Financial and Operational risk monitoring with our RiskManager, AlphaMonitoring and AlphaTrader Client. Order Flow Analytics, Inc. offers proprietary tools and training for tracking bid/ask volume execution of liquid futures markets in an easy to follow visual and dynamic format. From unique synthetic conditional orders and pre-execution volume analysis to independent position tracking within the flow of trade, OFA provides unparalleled robust analytical tools for screen traders. IQBroker is an advanced broker-neutral trading platform with high-end tools for both discretionary and algorithmic trading of equities, futures and FOREX. Use our FREE Community Edition for research and paper trading, including our industry leading charts as well as portfolio level backtesting and optimization. Once you're ready to go live you'll be able to upgrade to our Professional Edition and start trading with your favorite broker. Powerful, highly customizable charts with integrated trading and a huge variety of chart types and bar types, as well as scriptable indicators, drawing tools, patterns, and signals. Advanced trading tools such as Watchlists, DOM, T&S, News, Alerts and more. Custom and scriptable entry and exit strategies for semi-automated trading. A portfolio architecture designed for backtesting, optimizing, simulating and executing an integrated portfolio of sophisticated multi-asset trading strategies. Portfolio level performance analysis that includes more than 70 metrics and dozens of charts. An extensive, easy-to-use API with over 600 well-documented functions that can be used for writing 18+ different types of scripts using C#, VB.NET or R.NET. Personal Stock Streamer is an advanced real-time portfolio management system that provides investors with up-to-the-minute securities data, research and analysis capabilities. Features include: real-time streaming quotes; multiple independent portfolios with watch lists, and current holdings summary; complete transaction history with real-time portfolio value calculation; multiple streaming and historical charts with dozens of technical indicators, line drawing, Fibonacci retracements, zooming, and scrolling; unlimited chart profiles; capital gains and asset allocation reports; an RSS news reader; advanced alerts with support for complex expressions and third-party software for sending alerts to your pager and email; a scrolling desktop ticker bar; multi-currency support; data exchange with external applications such as Quicken(tm); drag and drop of live tickers into Microsoft Excel(tm); user-defined asset classes; drag and drop Internet bookmarks; a scriptable extension system that works with VBScript, JScript, and other languages; a complete software development kit for third-party plug-ins. Additional free extensions are also available to download directly from within the software. Open Source software with one interface and execution through 15+ brokers. 10 microsecond execution, up to 1 million ticks/second back-testing and support for 4 asset classes (futures, forex, options, equities). 25,000+ installs and 500+ developers. TagoTrader vision is to significantly improve your financial state whether or not you’ve got an experience in trading or you know nothing. Our goal is to make you an independent professional day trader that invests only few minutes a day, enjoying a huge income that serve you as an extra income or as main income in what we believe is the best profession in the world. Our commitment to you, is to make you an independent in 100% and to expose you only to profitable strategies, that have been tested on real trading accounts with real money for long period of time. TRAFiX is a state of the art broker-neutral technology provider offering EMS, OMS & FIX Network solutions built on a scalable, low latency, high performance enterprise architecture designed specifically for the functional & regulatory demands of today's Financial Services Industry. The V-zone trading method is a unique and Dynamic analysis approach that gives a precise trading map with precise trade locations giving you the skills to masterfully pick market turning point locations in any markets in any time frames with stunning accuracy. This method has Revitalized Institutional concepts providing Predictions with precision giving the foresight many strive to achieve all their trading life. You will learn how to continually look for trade locations that provides the best trade opportunities that give the best reward with low risk. This unique analysis approach takes supply and demand to the next level, using the concepts of the auction theory as its backbone but without the confusion. Optic Trading is an educational course built upon the principals of one-on-one support, coaching, examples, and tangible honest advice. The curriculum is laid out in an easy to digest video format that accommodates the absolute beginner, as well as the seasoned professional. The program gives traders a complete education. Traders will understand risk and money management techniques, as well as setups and execution and the more advanced techniques. Getting on board trends early, reading strength in real time, and determining the likely day type before the day is even completed are just a few of the many advanced subjects covered in the program. Larmee Associates is a small consulting/programming services company that specializes in custom solutions for traders. We have many years of experience with DTN IQFeed and can work with you to develop customized software to meet your specific needs -- anything from simple utilities to fully automated trading engines. We pride ourselves on confidentiality, reliability and personalized service. Please visit our website www.larmeeassociates.com or call us at 847-475-5100. Simon Jousef- “The Professor” is a licensed CTA (Commodities Trading Advisor). Mr. Jousef, holds a B.Sc. in Physics. After intense research, Simon discovered a hidden phenomenon within the markets’ price action or volume. He witnessed a formula of numbers that keeps attracting the price back to them, a phenomenon he now calls trading magnets. Similar to black holes in space, the brackets pull or magnetize the price back to its origin, to the tick. In 2010 and with the help of programmers, he developed an automated indicator called Trading Magnet, which was initially designed for futures markets such as Crude, Gold, and Indices but it works equally as well with stocks, options, and spot Forex markets. Today he trades his live account in front of students and teaches the exact same strategies and tape reading methods he used during the live trading competitions daily during his live trading room sessions at FuturesFx.ca and GlobalTradeRoom.com. Please come check out a Free Trial in the live room and seeour daily results since January, 2014. "The best futures trading community on the planet, with over 75,000 members, many of which are IQFeed users. Founded by a PhD mathematician, Hidden Force Flux offers a unique platform uncovering order flow events hidden to most traders. Hidden Force Flux tracks and highlights these events in real-time, enabling traders to gain an informational advantage that can take their trading to the next level. Using this platform, traders can spot high-precision reversal/continuation points in the market, order flow support/resistance levels and more. Gain the edge-become a better informed trader with Hidden Force Flux. Apex Investing is a community of traders where traders help traders. Learn How To Limit Losses & Let Profits Run. TradersCoach.com® launched in 1999 by trading system expert Bennett McDowell, is a worldwide leader in trader education and support. Dedicated to providing a no-nonsense and honest approach to trading the markets, TradersCoach.com® is known for its impeccable integrity and is a member in high standing of the Better Business Bureau's (BBB) online network. Providing quality products and services to the trading and investing community, TradersCoach.com® is also known for its trading system and software, Applied Reality Trading® (ART®) and its record keeping and risk analysis software The Trader's Assistant. The website TradersCoach.com® and the ART® software and The Trader's Assistant software have all received numerous Readers Choice awards from Stocks & Commodities magazine. Professional trader, Market Profile and MarketDelta footprint educator. For a free trial contact www.jpjtrading.com. Prediction Point Trading provides advanced trading tools for active day traders and private funds including the highly reactive Prediction Point levels. This unique set of prices can be applied to virtually any trading strategy, style or system. Prediction Point Trading's advanced trading tools are proven each day in the live market with real results and real-time P&L! Start using tools that work and visit us today. OrderFlowEdge.com offers traders a truly unique view on the markets! At OrderFlowEdge our mission is to coach traders of all experience levels on how to utilize our proprietary Order Flow trading strategies in order to trade in the markets with a consistent edge. We train traders on how to understand and measure the driving force of the market….the ORDER FLOW. We teach traders from all around the world and all levels of experience, from beginner to seasoned pro, how to understand and trade using supply and demand, order flow, and auction market principles. Learn how to distinguish between opportunity and random noise. We follow multiple markets every trading day but narrow our focus down to trading only the markets that are currently offering the best opportunities. "DAILY ONLINE VIDEOS FOR TRADING STOCKS AND THE MARKETS" Since September 2006 StockMarketVideo.com has been the leading provider for technical analysis, stock picks, trading videos as well as a various trading tools over the internet. Each trading day we offer our members easy-to-follow stock trading videos that entail forecasted strategies, trends and patterns for our stock picks using technical analysis. Our mission is always to provide easy-to-understand and the most actionable ideas through the world of technical analysis and stock trading to assist all individuals and organizations grow their wealth. EMini Player provides accurate Support/Resistance Zones, along with a concise Trade Plan for the E-Mini S&P 500 Futures every morning before the Open. After the Close, there's a recap of the trading session, which goes over the trade setups of the day and serves as a source of continuing trading education. Strategic Trading offers state of the art trading educational programs. The programs are developed by Dr. Keppler a distinguished business professor and a leading educator in the Financial Markets. Strategic Trading provides a solid & practical education for effectively trading Forex, Stocks, Futures, and Options. Our lead instructor Dr. Keppler brings an exceptional level of expertise and teaching experience to our programs that set our courses apart from all others. As experienced traders and professional educators, we also understand the full learning cycle. We know that simply attending a class alone is rarely sufficient for mastering new concepts and trading techniques. Consequently, strategic trading includes coaching as an integral part of its educational experience. Professional traders and pros-in-the-making know that lasting success is dependent on proper education and dedicated mentorship. After all, trading is an acquired skill. But the learning curve doesn't need to be long and arduous. Roger Felton, founder of Felton Trading, has been teaching E-mini futures index trading longer than anyone. His easy, relaxed style of teaching plus his patient and professional approach, make learning his methods fun, effective and simple. One of the core strategies of our training is a time tested market phenomenon called divergence. Felton Trading teaches divergence because it's in every market that moves and it never stops working over time. Nothing can stop well filtered divergence from providing you with numerous high potential trades every day. Years of research in identifying and filtering strong divergence patterns has lead to a trading strategy that is so mechanical that it's been coded into the Felton Trading Suite for NinjaTrader. Powerful, professional trading code with no subjectivity that actually finds the best possible entries for you while you focus on the fun stuff. You are invited to spend a free week with us as a VIP Guest Member in our live market Felton Trading Room. Sign up at our website and see professional trading along with valuable commentary all week as you take an in-depth look at Felton Trading. We are very pleased to embrace fast, accurate IQFeed to drive the Felton Trading Suite for NinjaTrader as our preferred data supplier for our students.